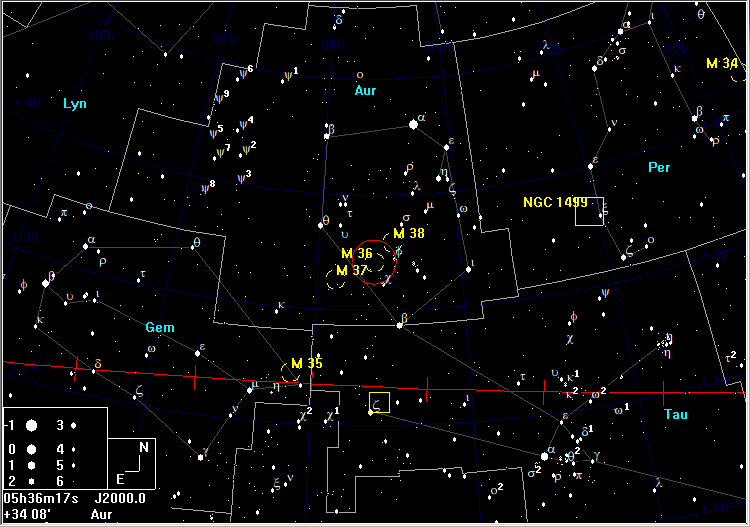 Midway between βTau (El Nath) and θAur is a slightly curved chain of three, evenly spaced, 7th magnitude stars. With this chain at the centre of the field, M36 lies to the NW and M37 lies to the SE, both within the same 5� field. 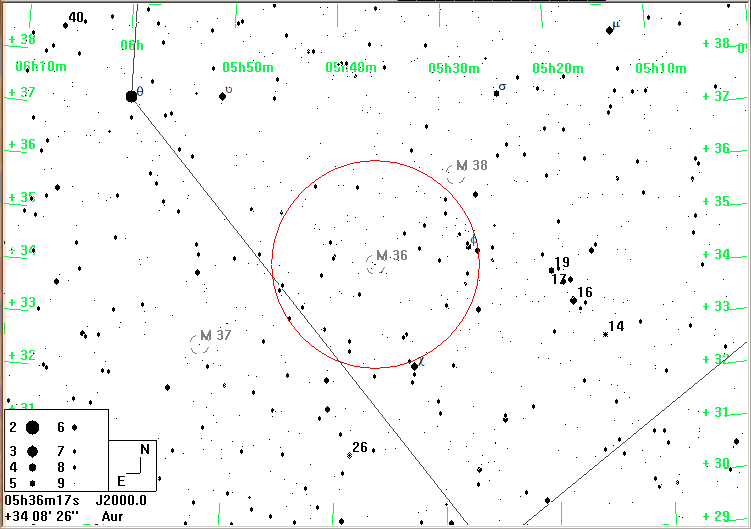 With M36 at the centre of the field, M38 is at the NW edge. 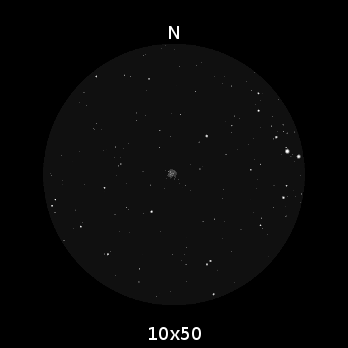 M36 is approximately round and about a third of the diameter of the Moon. Depending on the sky conditions and the quality of the binoculars, you may be able to resolve up to about half a dozen of the brightest stars. M37 is about twice as large as M36 and brighter overall, as a consequence of having many more stars, but the individual stars themselves are fainter. M38 is intermediate in size between M36 and M37. In good conditions, 10�50 binoculars may resolve 8 or 9 stars.